Ah, dear Beth! I understand your frustration — to be 30 and feeling out-of-date and ready to be one-upped by a fetus that has yet to be conceived! But think of it from another perspective. 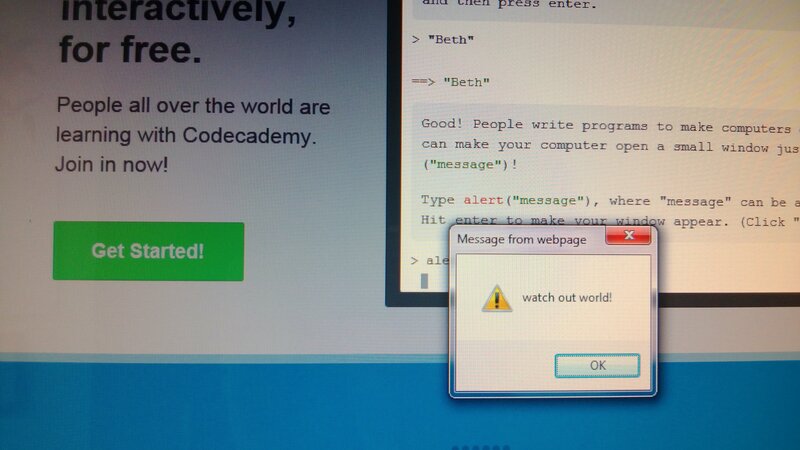 You could be 60+ and not know how to code! You are doing the right thing to learn it now; if you wait, you will merely be older and still need to learn it. Trust me. I know! Happy belated birthday, Beth! 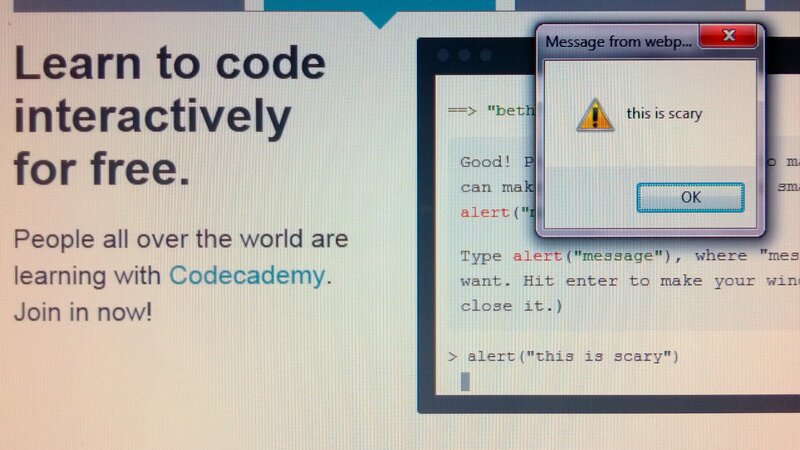 I’m impressed that you’re even trying to learn code, so that tells you where I’m at with this whole technology think. Hope to see you at the table this week. Beth, Happy birthday and I love that you decided to learn for your birthday. I’m glad you did. I felt so clever with those text boxes! Go evolution! Wonderful blog! Do you have any helpful hints for aspiring writers? I’m planning to start my own site soon but I’m a little lost on everything. Would you suggest starting with a free platform like WordPress or go for a paid option? There are so many choices out there that I’m totally overwhelmed .. Any recommendations? Cheers! I’m so glad you are enjoying it. It is really nice to know I am able to reach people through this blog–That seems sorta magical. I too am often overwhelmed by blogging options. This is a wordpress.com (not .org–that is a completely different beast where, I think, you need more cs skills) sight with a few paid add-ons. I am not really very savvy and it took me a while and all my curse words to get comfortable. My good friend is using Squarespace and likes that platform quite a bit, and actually, blogger has really nice templates. I’d say just get started and then you will learn what you need in a platform. You can always change after you get going. Look forward to reading your blog soon–send me a link.